Master Yacht Services is a trustworthy pro, they did quality work and met the deadline, he is clear, communicates well and likes a job well done. In addition to my catamaran he has a bearing on the failure of the shipyard that had taken two days late and planted on the sanding, he did not hesitate to sacrifice his weekend, to make my boat ready and on time. A big thank-you. I have been a client of MYS for the past 18 months and they are very reliable and trustworthy. They keep my boat in perfect conditions throughout the winter and they are always available when I need an extra job. Florian is a very nice person who will always treat you fairly. 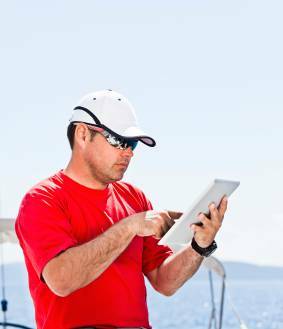 He can do any job related to your boat and will introduce you the right person if he can't. Master Yacht Services will look after your boat as if it is his own. I thoroughly recommend Master Yacht Services. We have been a client since last fall and the service offered by Master Yacht Services is of high international standards. Always quick in their replies and precise yet flexible in execution of any task. Highly recommended! Super service, professional, very responsive and especially very friendly. I really appreciated his kindness in my requirements. I recommend Master Yacht Service. I would recommend Master Yacht Services to anyone. Florian is a great professional, who takes care of yachts the way one should. Always delivers on his promises, and always willing to go the extra mile, even on very short notice. We have been with Master Yacht Services for more than three years, and are extremely satisfied.